Call 01482 212111 to make your appointment today! 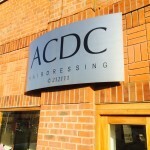 Welcome to ACDC hairdressing... Since our grand opening in 2004, ACDC Hairdressing in Hull has been providing professional services in a warm and friendly atmosphere. ACDC is a family run business by brothers Alex and Daniel Cook, the pair have a combined total of over 30 years experience in cutting edge hair techniques. 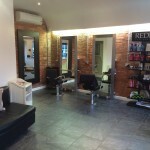 The salon is located on Hull's vibrant marina which has 2 hours free car parking. Let us care for your Hair... Here at ACDC Hairdressing, our staff of 3 experienced stylists embrace the importance of education. They offer the latest in trends and techniques. Our salon uses only salon quality products with the best ingredients to promote optimum hair health and the perfect styling result you have just been looking for and you will experience unmatched customer service. Let us care For you... At ACDC Hair salon, our entire staff works hard to guarantee you have the most enjoyable experience. From our friendly desk staff making your appointments to our helpful shampooing technicians giving you the best shampoo ever, we are there for you. 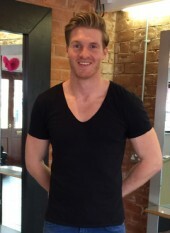 We want you to look and feel your absolute best...so contact us on 01482 212111 and schedule your visit today. We all look forward to meeting you! 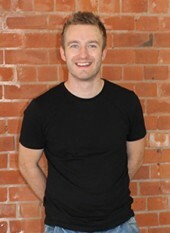 I’ve been coming to ACDC Hairdresser in Hull to see Danny for nearly 10 years. He did cut my waist long hair into an amazing cut with highlights and I’ve been hooked ever since then. He has an amazing sense of what is best for your hair and style. His vision is always right on. I’ve recommended Danny to many of my friends and associates and all who have gone to see him have loved it! I’ve been a client of Joe’s for more year that I care to remember. No matter what he does with my hair, it always looks terrific. 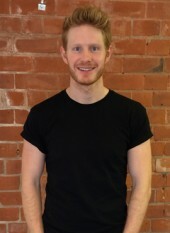 Colour, cut, style – whatever he does is professional and chic. Thank you, Joe, for so many years of making me look great! 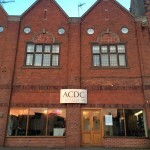 I travel over an hour each way from Hull to see Alex at ACDC. I have been a client for over 7 years. Alex knows exactly how to make my hair look great and he gives a professional guidance when I am not sure what I want. 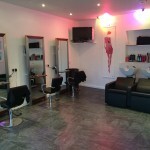 The salon is modern, sleek and inviting. I am always comfortable and treated just like family. My experience at Alex is always relaxing and I leave feeling extremely satisfied. For over 15 years Danny has been styling my hair and doing a fantastic job. His fun and witty character is enjoyed and appreciated. I no longer work in Hull city centre but his work and commitment make me coming back for appointments. I go out of my way to see him and will continue to do so. I would not have it another way. Thank you Danny!